I hope this report finds you well! 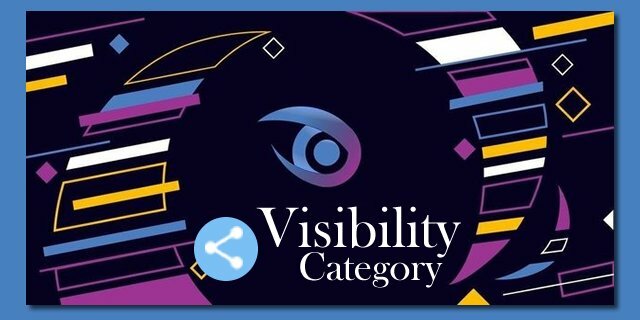 This is the first Visibility Report for the New Year 2019 and the 4th one created by me. This report is for contributions during the time frame 10 January until 17 January 2019. The past few months, the contributions have decreased, however there are some actions we can do for increasing Visibility Contributions and Task Requests. I will be presenting my ideas and thoughts with a series of posts starting next week. 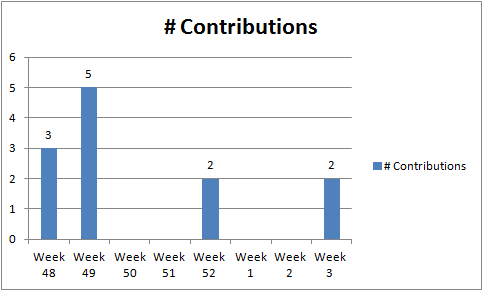 During the previous week there were 2 contributions in total. @jingis07 has promoted two very well known & familiar projects via his facebook page. @byteball (recently rebranded as @obyte) and @actifit. I am copying here some of my review remarks, thinking they will be useful for current and future contributions. I sincerely hope that we can have constructive discussions in order to expand the real-world adoption to open-source projects! When submitting a post regarding a facebook, ad you could think about adding some of the information below. These aim to show your strategy, to offer valuable insights to the readers. Have you visited the website of the project? Have you used this project at all? Have you visited their social media channels? Have you discussed with them? Why did you select the specific audience? That would be interesting to know. Do you know if the Project Owner runs an ad during the same time? Do you know where they would like to promote their project? How and Why did you use the specific text? What is your Call to Action? Do you think that there is anything you could/should change or add? Why did you select this graphic and where did you find it? Was there any interest for the product? Did anyone contact you about it? Did the ad receive likes, shares, comments? What are your goals with this ad? Do you think it was a successful ad? Would you be interested to know if there were any conversions? What would a successful conversion be considered according to you or to the Project Owner? After the ad finished, would you think of promoting the same project again? In what way? Would you consider contacting the P.O for a future promotion? Having expressed the above in the form of questions, I sincerely hope that there will be more information shared with us and with potential Project Owners in the future posts. 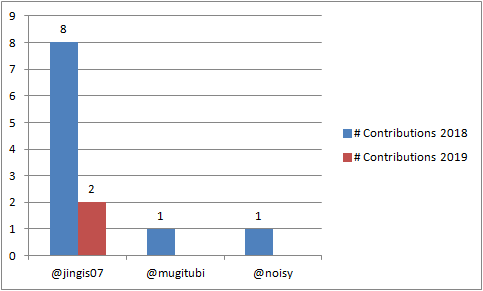 The Top (and only one) Contributor is @jingis07 with 2 contributions in 2019. Thank you very much for taking the time to read my post, stay tuned for more and please do feel free to share your thoughts, observations, questions on the above! 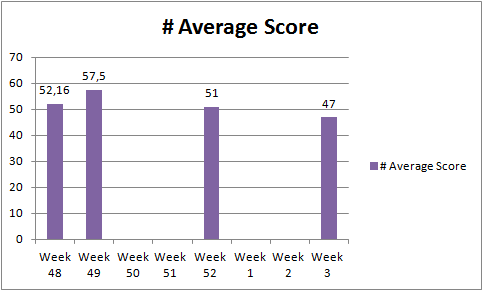 Thank you for providing the weekly for the visibility category. The post is well-written and chock-full of useful information. You are doing an impressive job in the category, and I appreciate that. Those questions you highlighted will make visibility posts to contain more valuable information. I hope the category contributors would read and adopt the idea. The category has been calm for a while now, only 2 contributions were submitted ever since the start of the new year. I hope for swift changes and quick improvements in the category. I can't wait to hear about those ideas you want to propose to attract contributors and grow the category. Stay great, and have a great week!